Home > About Us > News > "The isolation people find themselves in"
"The isolation people find themselves in"
Volunteers’ Week is an annual event to celebrate the contributions made by millions of volunteers across the UK. This year we want to highlight the experiences from our volunteers here at Turn2us. Delyth Evans, who has been volunteering for Turn2us for five years, said: “I thoroughly enjoy meeting a variety of people who are so grateful for our financial support and the support they receive from their grant officer. “In 2012 I had completed over 40 years of employment in banking, social housing and self-employment. I had also spent 13 years with a Police Authority culminating chairing the organisation for three years. I was very keen to continue using my skills in a volunteering capacity which I had undertaken for over 30 years as trustee/director on numerous boards. “However, I felt I needed to have more direct contact with people who needed a friendly, non-judgemental person to listen to their worries and concerns. I visited various websites to find the right organisation and found that Turn2us was what I was looking for. 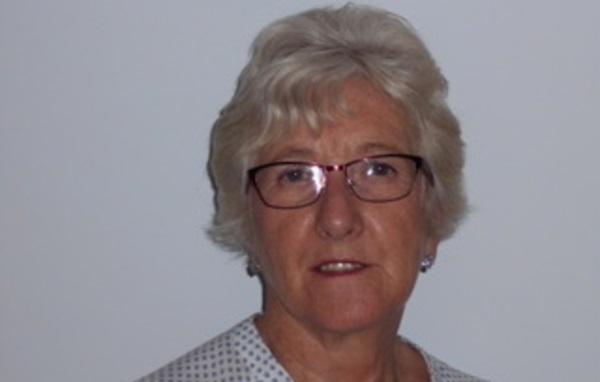 “Having lived and worked in West Wales all my life I have a good knowledge of the area, its people and the isolation people find themselves in by not being on a public transport route and relying on their car to get them from their homes. I find my clients are so worried about the cost of running and maintaining their cars, and the sum they receive yearly from Turn2us is their lifeline to the outside world. “When I visit our clients sometimes I am the only person they have seen all week and for that hour I let them unload their worries and concerns on me. “Although we are not there to give advice I often find I have the knowledge, experience and contacts to signpost them in the right direction for further help and information. “When you first visit a client they are a bit wary of you and feel you are there to check up on them and to criticise their way of living. “The highlight of my work is when I return to visit and they are very happy to see me. It is very important that they feel I am there to help and I often hear people say ‘I never thought I would be in this position having to ask for financial support from a charity’. They have their pride and it’s important we respect that and not judge the way they live. You can get involved with Turn2us. Previous Did you know it’s Volunteers’ Week? Next Do you have the right compassion and care?